A unique artist from Riverside California who loves to create & perform music. 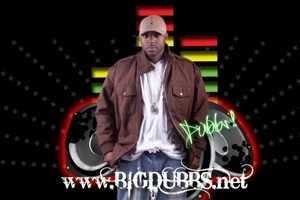 Dubbs is a producer,artist, songwriter, & studio owner. An artist that can freely create music and blend genres of hip-hop, r&b, pop, & rock. With the new project, "Hater's Heaven". Fans are sure to feel the growth & hard work of an artist that has been in the game for years. The new single, "backwards" packs a hot new sound in production combined with fresh feel good lyrics that bring the fun to hip-hop.